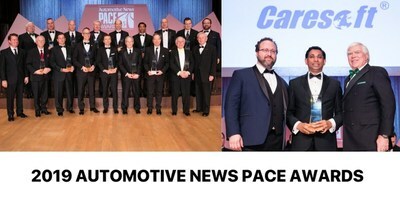 DETROIT, April 17, 2019 /PRNewswire/ -- Caresoft Global was named a 2019 Automotive News PACE Award winner at an awards ceremony on April 8 in Detroit. The prestigious award recognizes automotive suppliers for superior innovation, technological advancement, and business performance. Caresoft Global was recognized for its innovation in the area of full vehicle competitive benchmarking using Computed Tomography.